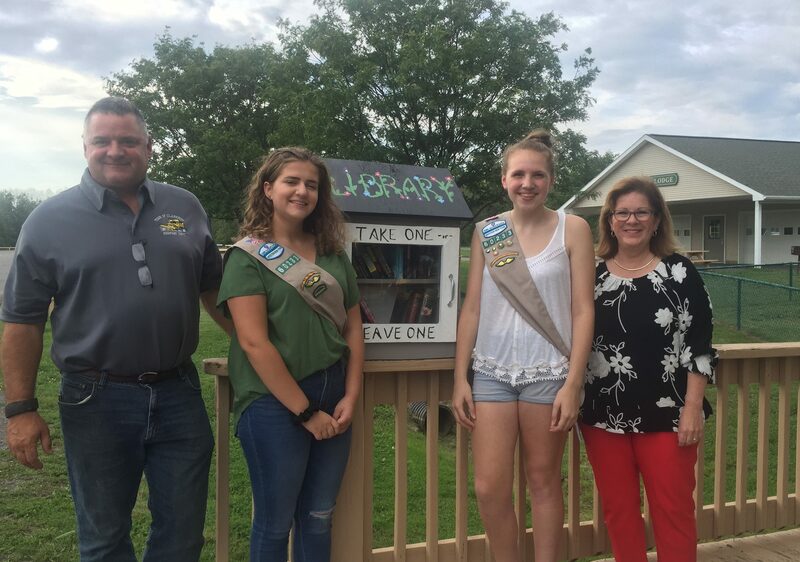 Today, as the second event for 2018 Good Neighbor Days, the Girl Scouts of Troop 60233 officially gifted the Town of Clarkson with its first Little Library. McKenna Nicholls, Julia Nenni and Kate Biehler earned their Silver Award by designing, constructing and decorating a beautiful wooden little library installed on the walking bridge to the childrens playground at Hafner Park. This library is another way for ‘good neighbors’ to share books and the joy of reading.